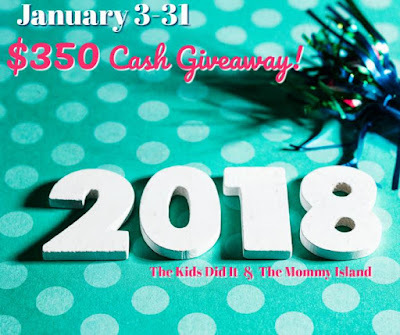 Win big during our $350 January Cash giveaway event! You have the option of choosing between $350 PayPal Cash OR a Gift Card of choice! This event was organized by The Kids Did It and The Mommy Island and sponsored by the awesome bloggers, authors, and Etsy shop owners! Make sure to check out all of the awesome winter and Valentine's Day ideas they have by clicking on their blog buttons below. Curl up by the fire and relax while you enter to win our January Cash event! ONE entrant will be selected by the entry form to win $350 PayPal cash OR a $350 gift card of choice. Open for entry WW, 18 years and older from 01/03/18 at 12:01 a.m. ET thru 01/31/18 at 11:59 p.m. ET. No purchase necessary. Void where prohibited. A winner will be chosen after/around February 01, 2018. The winner will have 24 hours to respond to notification email to claim their prize or a new winner will be selected. See Rafflecopter for official rules. 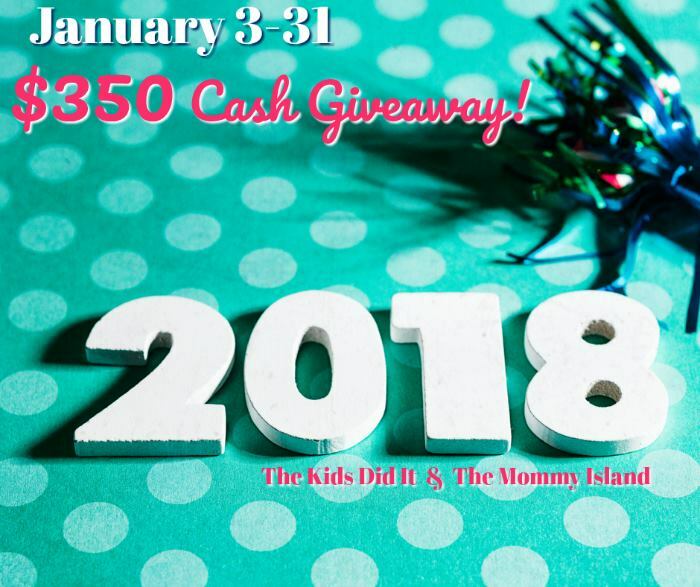 The Kids Did It and The Mommy Island are responsible for sending the winner their prize via PayPal or e-gift card. The winner has the option of choosing between PayPal and an e-gift card of choice. Prize may be less than $350 if you choose a gift card with fees. Twitter 'Egg' profiles and dummy accounts are ineligible for entry and will be blocked. Authentic accounts only are eligible to win.